Guinea’s health authorities and the medical charity treating the last known Ebola patient in the country said Wednesday he had been discharged after successfully recovering from the disease. The elderly man, named as Gbana Kalivogui, was shown smiling broadly in images released by the ALIMA medical charity, which treated him at their dedicated unit in the southern city of Nzerekore. 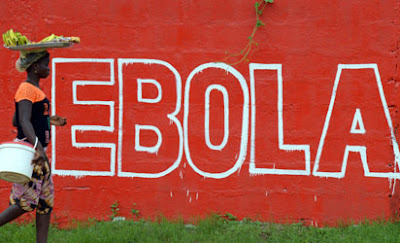 “The last current confirmed case of Ebola hospitalised in Nzerekore left last night (Tuesday) fully recovered, and has gone home,” said Fode Tass Sylla, a spokesman for Guinea’s Ebola response unit. Guinea now no longer has any known Ebola patients, but a spate of recent cases despite the announcement of the end of the main outbreak in west Africa has demonstrated the difficulty of managing its aftermath. “There are no more current confirmed cases in hospital and no suspected ones admitted to the centre for the moment,” ALIMA said in a statement. The World Health Organization announced the reappearance of Ebola in a Guinean village near the Liberian border on March 17, the same day it said a similar flare-up had ended in Sierra Leone.